On Nashville Season 5 Episode 22, conflicts come to a head between Deacon and Zack, Maddie and Juliette, and Scarlett and Gunnar. Read on for our review! On Nashville Season 5 Episode 21, Deacon struggles with all the roles he's juggling and finally faces off with Zack about the future of the label. On Nashville Season 5 Episode 20, Gunnar visits his hometown, Juliette tries to make things right with Maddie, and Deacon works on a new song with Jessie. On Nashville Season 5 Episode 19, Scarlett has complications with her pregnancy, Jessie steps up in support, and Gunnar deals with ramifications stemming from the robbery. On Nashville Season 5, Episode 18, Avery goes on tour, Deacon struggles to move on, and Scarlett and Gunnar experience find themselves in a dangerous sitation. 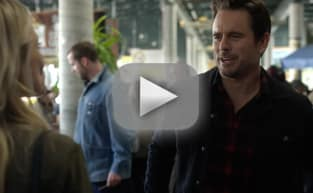 Nashville Season 5 Episode 17, Scarlett confronts a reporter she feels wronged her, Deacon considers signing a new artist, and Avery makes an important decision. On Nashville Season 5 Episode 16, Juliette starts to question Hallie's intentions toward Avery and Scarlett is concerned when her pregnancy is outted by the media. On Nashville Season 5 Episode 15, Maddie deals with the fallout from her video, Scarlett tries to move on from Damien and Hallie gets an offer she can't refuse. On Nashville Season 5 Episode 14, Maddie and Clay experience the biggest test of their relationship and Scarlett tries to choose who she wants to help raise her baby. On Nashville Season 5 Episode 13, Juliette is nervous about her first performance since the plane crash, and enlists the help of the choir to help her through it. On Nashville Season 5 Episode 12, Deacon worries about Daphne, Maddie refocuses on her career with the hope of her new manager and Scarlett finds out the father of her baby. How did Nashville bounce back from one of the most shocking deaths of all-time? Read our review now!